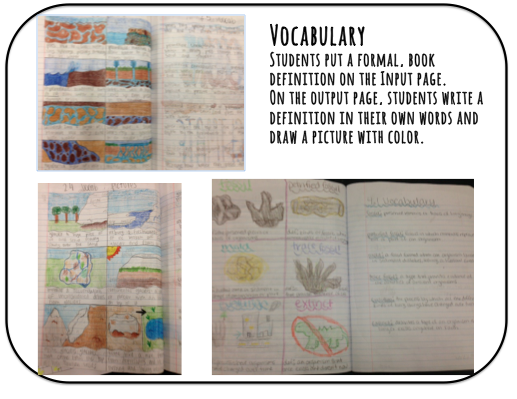 The purpose of the interactive notebook is to collect, record and organize information in a creative way. Students actually become involved in the information by making charts and graphs, illustrating their notes and expressing their thoughts. 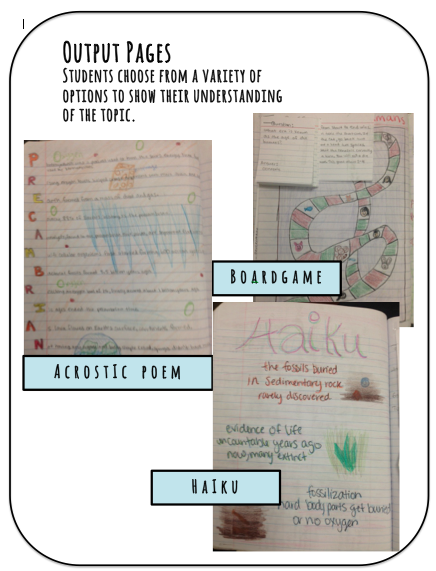 Creating this portfolio of science information will allow them to demonstrate what they’ve have learned and help them to remember the information. This notebook will also serve as a great tool to help them stay organized. The best part is that it gives students permission to be playful and creative in their responses. Below you will find resources that I have used in my science & astronomy classrooms for the past three years with my eighth grade students. Some of these handouts have been modified from other sources. I’ve left many of the resources as word documents so that they can be edited to fit your needs. Click on the highlighted title to download. Notebook Intro This booklet serves as an introduction to students about the details of the science notebook. It includes a description of the “input” and “output” pages, as well as a place for parent & student signatures. Notebook Guidelines This is a set of guidelines that my students follow for their science notebooks. I have them glue this onto the inside cover. Foldables are a great way for students to organize and process information. Download any of these foldables to use in Interactive Science Notebooks. Im amazed! I love astronomy! This are great resources for kids to work on!